Each room immerses the viewer in the artist’s expert documentation. We are encouraged to do more than just observe the photographs; the emphasis seems to instead be on understanding the subject matter more thoroughly. This might invite visitors to spend more time in each room, each photograph acting as a window to an individual history. Laia Abril and Susan Meiselas seem the best contenders for the £30,000 prize that will be announced on 16th May. 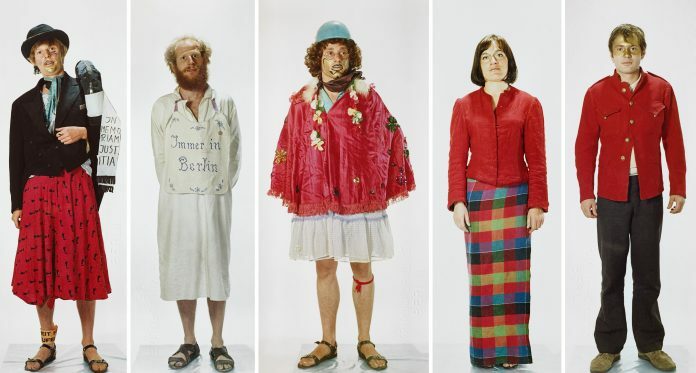 Arwed Messmer’s focus is on the RAF (Red Army Faction, a far-left group of student militants) operating during the German student protests in the late 1960s, driven by poor living conditions of students at the time and an impression of limitation of political freedom by the West German government, and then stoked by police brutality. His is the first room, a collage of images sourced primarily from press archives, including huge photograph of several figures gathered around the body of an injured student. No one is looking in the same direction, portrait-worthy emotion on each face that isn’t turned away. Along the left wall as you enter are members of the RAF, each figure taken in stark isolation from the mass-protest, their costumes look almost comical, insincere, but it is their full expressions of pride, fear or youthful confidence that denote the gravity of their situation. In a slideshow compiled by Susan Meiselas, a member of Magnum Photos since 1976, as part of her long-term work Kurdistan/akaKurdistan she writes, ‘it felt strange – photographing the present when I knew so little about the past’. As a viewer, it is easy to also get this strange feeling, looking at so much history potted in one room. 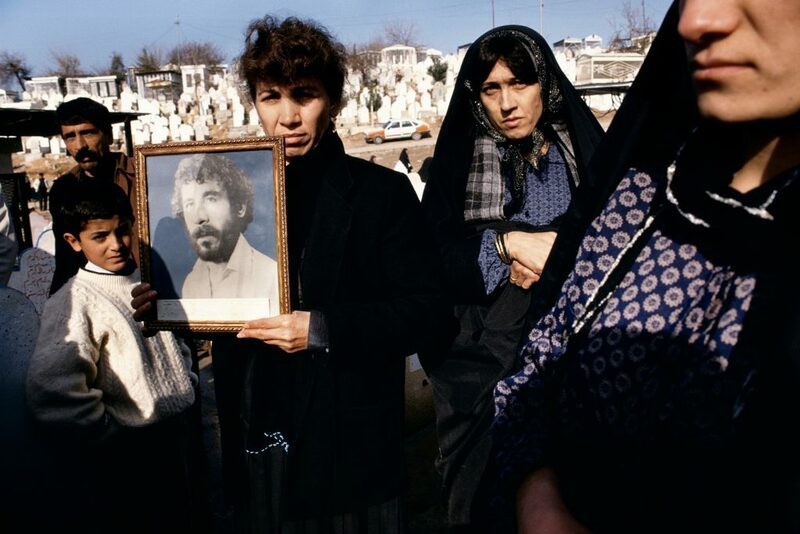 Some of the most striking photographs in the exhibition are those of clothing marking the graves of Kurds in place of gravestones; crumpled like on a teenager’s bedroom floor, giving a haunting reminder of the ability of our material possessions to endure beyond the fragility of human life. Here is a collation of Meiselas’s own photographs, including a young teenager with his back to the camera lifting his shirt to reveal the bullet wound that he escaped a village execution with. A visitor would need a fairly rich understanding of the historical context of the Iraqi-Kurdish conflict to fully appreciate the timeline and political implications of these photographs, but its greatest value lies in its excellent portrayal of personal human stories of those affected by the conflict. The nucleus of Laia Abril’s history of abortion is a beige flowered chair facing a 1960s television set, the two objects inviting you to sit down – but to do so would face you with a series of clips from polemical anti-abortion speeches, obscured by the blueish and jittering glass screen. However, we are reminded that they are by no means history when looking at the dates of the information given on the walls – 2005, 2014, 2015 – the words sting in the ears when experienced in conjunction with sensitive portraits of people who have been affected by the lack of abortion rights in their country. One woman tried to induce her own abortion at home in order to ‘feel stronger than the law’. 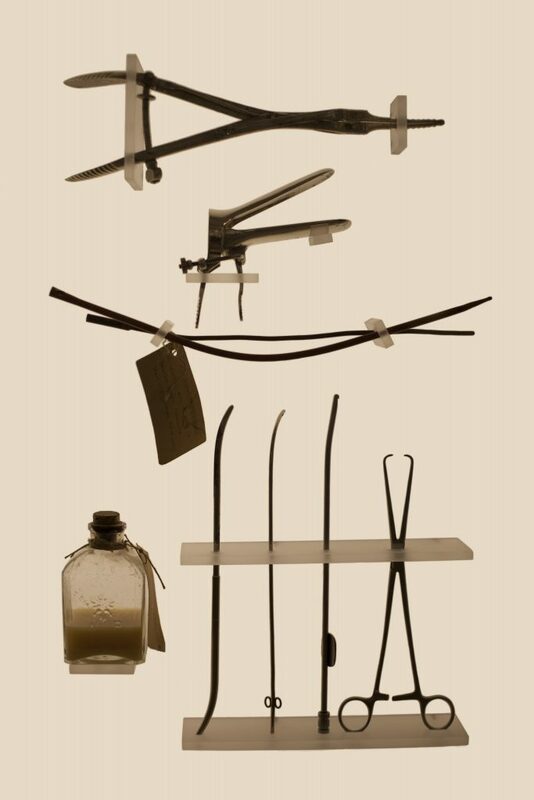 These are juxtaposed with scientific photographs of objects associated with the history of abortion; a fish bladder condom, ancient acidic contraceptives, an illegal instrument kit. There is an excellent balance here of thorough historical documentation, with testimonials from people who have undergone an illegal procedure as well as a woman who performed thousands of them, and an angry exposure of the emotional and physical damage stringent laws can have on women. Photographs in previous rooms are generally populated with figures interacting with the world around them, but all Mark Ruwedel’s work shows profound absence. Slight evidence of human presence peppers soaring landscapes, all in black and white. 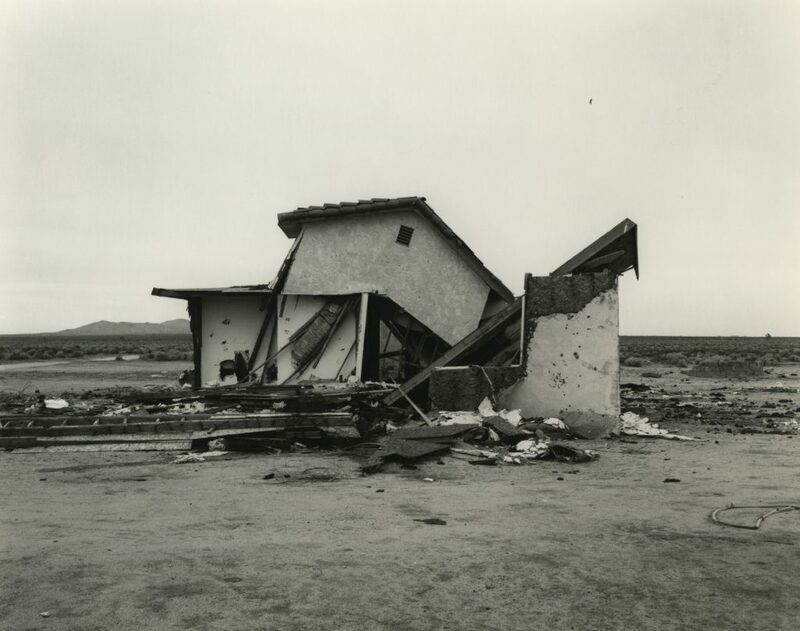 The Dusk series feels like some sort of post-nuclear wasteland – moving along the line of images along the wall of abandoned houses sitting on Northern American plains is what one might encountering McCarthy’s The Road, places where human presence has broken down and moved away. These images are the most timeless of all. 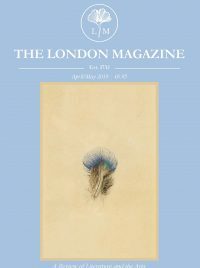 Ruwedel wrote that he is particularly ‘interested [in] those places where the land reveals itself as being both an agent of change and the field of human endeavour’ – the landscape is stretching over concrete tunnels and pulling down houses, a life cycle that we can either accept or resist against, but the energy persists. The Deutsche Börse prize consistently delivers shows that provide a full immersion in each artist’s work. Luke Willis Thompson won last year for Autoportrait, a mesmerising film installation, pushing the boundaries of what constitutes ‘photography’ for a renowned photography prize. 2019’s works offer more distraction around the room, but the use of different medias and sensitive portrayal of human stories is just as emotionally wraught. The Deutsche Börse Photography Foundation Prize will run from 8th March to 2nd June 2019 at The Photographer’s Gallery, London and the winner will be announced on 16th May. Admission free until noon (Mon – Sun) and then £5/£2.50 concessions. For more information visit The Photographer’s Gallery.